Until this weekend, I had largely believed in the liberal narrative which holds that Pope Francis’s reforms of the Catholic church are unstoppable. But the conservative backlash has been so fierce and so far-reaching that for the first time a split looks a real, if distant, possibility. One leading conservative, the Australian Cardinal George Pell, published over the weekend a homily he had prepared for the traditional Latin mass at which he started ruminating on papal authority. Pope Francis, he said, was the 266th pope, “and history has seen 37 false or antipopes”. This is a fascinating nudge in the direction of an established strain of conservative fringe belief: that liberalising popes are not in fact real popes, but imposters, sent by the devil. The explanation has an attractively deranged logic: if the pope is always right, as traditionalists would like to believe, and if this particular pope is clearly wrong, as traditionalists also believe, then obviously this pope is not the real pope. Splinter groups have held this view ever since the liberalising papacy of Pope John XXIII at the start of the 1960s. I don’t think that’s what Pell meant, but it was odd and threatening to bring the subject up at all. I believe Brown has a faulty understanding on the workings of the Church—his misunderstanding of what an antipope is leads to a misinterpretation of Cardinal Pell’s words. If one reads the full text of Cardinal Pell’s words, it is clear that the cardinal is not speaking of questioning the legitimacy of Pope Francis. It is a homily on the papacy and how it survived many controversies. Cardinal Pell doesn’t question the legitimacy of the Pope. Rather, he is assuring the faithful who are deeply troubled by the media coverage of the synod that the Church has never fallen into error and never will..
(An antipope, by the way, is a person established as pope in opposition to one canonically chosen. So, Pope Francis couldn’t be an antipope because he was canonically chosen. The idea of labeling a Pope an antipope nowadays is a way to seek giving legitimacy to conservative dissent among the fringes). But, let’s talk about the dangers of schism. That’s not the same as having a political dispute. That’s a denial that the truth is found in the Church, and a belief that the faction of the Church knows better than those that Our Lord gave His authority to. We can have faith that the Church will not teach error in matters of salvation because we have faith in Jesus (The Catholic position). We can deny that the Church properly interpreted those promises (This would be the position of the Protestants and Orthodox). We can deny that Jesus had the power/will to keep those promises (The position of non-Christians). So when people are claiming that the Church is going to fall into error and that the Pope is teaching dangerous things, it is a serious matter indeed. But people are playing with fire here. Taking the premise that the Church is going to change Church teaching as true, people are deceived into thinking that their own private judgments are closer to the truth than that of the Pope when he teaches. Usually, when I encounter this online, I ask the person which council declared him or her infallible—because that is effectively what they are claiming for themselves. I think any reader who thinks this way should also ask themselves this question. The point is, you are not and I am not infallible. We can fall into error of misinterpreting the teaching of the Church. In fact, the point is we are supposed to look to the magisterium of the Church for guidance. It’s hard to do that when we’re making ourselves the judge of the Church teaching and teachers. Historically, schism has come when a group of Catholics have decided that the Church under the leadership of the Pope no longer (or never did) possesses binding authority. The history of the Church is full of schismatics who thought the Pope was too “lenient” on Church teaching. 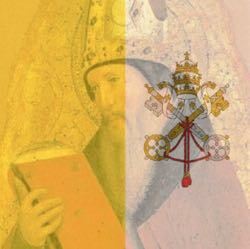 The Church had antipopes because some people decided they didn’t like the results about the Pope who was chosen, and thought they had the authority to name a different one. Those two are the extremes of course. But the devil doesn’t need to use extremes to lead people to hell. All he needs to do is to get people to put their will first, and follow the Church only if it agrees with what they wish to believe. They can remain within the Church of course. But once they think of themselves as the judges of the Church, they become too proud to be taught. Anything they hear that is contrary to what they decide is right immediately becomes suspect. If the devil can get people to do that, it doesn’t matter whether they formally break in schism—they’ve already denied Christ’s promises. Faith in Christ doesn’t mean that we accept everything the hippy-dip promoter of the Spirit of Vatican II people proclaim. But it means that when the Pope teaches on a matter involving salvation, it means he is not going to teach error.